Every leader I coach is working on changing or developing some new leadership behaviour. That’s normal. Leadership is situational and things that worked at one level, won’t necessarily work at the next level; or, what works in one situation or environment won’t work in another one as successfully. Great leaders are adaptive and resourceful and know how to shift their behaviours to suit the requirements of the situation. But, changing people’s perception of your behaviour… especially if you’ve had a long and successful track record operating in a certain mode… can be challenging. Here’s an example – my daughter is the Queen of Straw Wrappers. For the past 7 years, she’s left those little plastic sleeves lying all around our house. It drives my husband insane. Recently, I got sick of hearing him complaining about it so decided to institute some consequences. I find a straw wrapper and her iPod goes away for a day. The second time I find one, it goes away for 2 days. Amazing how quickly the straw wrappers started to find their way into the garbage after that point. One day, she was asking me about gaining more independence by being able to walk to the store by herself. I told her she needed to prove that she was responsible and that a small way to do that was to demonstrate how she could handle little things like throwing away straw wrappers; at which point she started crying and said “I haven’t left a straw wrapper around for months and nobody notices!!! All you talk about is how I need to pick up my straw wrappers.” And, that, my friends, is the challenge of behaviour change in a nutshell. If you’ve ever given a direct report feedback on a behaviour they need to change, it’s important to remember that them making that change is only one part of the equation. The other (and possibly more important part), is getting people around your direct report (including you) to see that they’ve actually changed. Once a pattern is set (like my daughter with straw wrappers), it’s hard for us to shift our perceptions. We’ll continue to look for the old behaviour unless we make an active effort to look for the new one. This can be extremely demotivating for individuals who are working hard at new behaviours and are (likely) getting very little praise for doing things right. They probably tend to hear about their slip ups because that’s what we’re tuned in to looking for (“Mom… I threw away my straw wrappers for an ENTIRE MONTH and the ONE TIME I forgot, you and Dad yelled at me!!”). It’s for this reason that it’s important that, as leaders, we look for opportunities to praise the new behaviours we’re seeing, plus advocate for them with other stakeholder groups. You may need to challenge other people’s “old tapes” to help your direct report be successful. After my daughter’s mini-meltdown, I committed to paying more attention to praising her when she cleaned up without being asked and she took opportunities to share with us when she had been proactive about putting her things away (“Here I am putting away my straw wrapper!”). 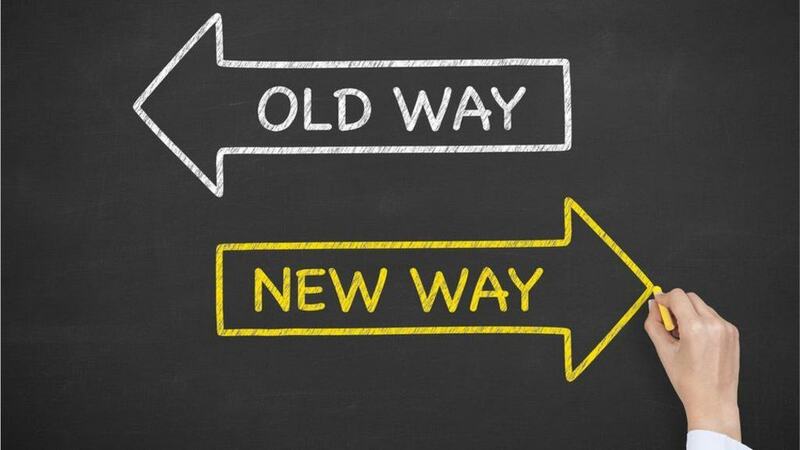 Although it’s true that the only person you can change is yourself, as leaders, we do have a role to play in helping support our colleagues as they develop new behaviours. We need to work hard to “catch people doing it right” and make sure that we haven’t inadvertently labelled them with a perception that is no longer fully accurate. Want to strengthen your own behavioural coaching skills? We can help! Check out our Coach to Change Behaviour program.